Academic research isn’t just for wild-haired geeks in white coats, we all know that at some level – it’s hard to imagine living our lives without the contributions of research but many people never have routine opportunities to engage face-to-face with practising researchers. Combined with a flexible and adaptable structure that allows participants to organise events and engage directly with working researchers in ways that make sense to them, research cafés (which are modelled on the methodologies developed through the café scientifique movement) can provide just such a forum for informal engagement with research. 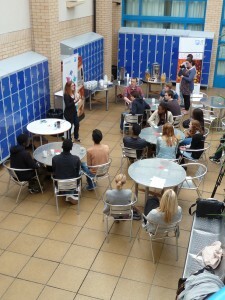 A research café at Denbigh School, Milton Keynes, discussing ‘Smart drugs: a right or a responsibility’. Photo: Richard Holliman. What is a research café? A research café (café scientifique, ‘science café’, ‘café sci’, ‘science lounge’ – call it what you will) is an event, where, for the price of a drink and a biscuit, anyone can come to explore and engage with some of the latest ideas and issues related to academic research. Research cafés are ideal for a school environment, connecting pupils in meaningful ways with issues that they care about, discussed directly on their terms with academic researchers. They can be organised during lessons, over lunch or after school, e.g. through a school club. Audience numbers range from ten to 30, an ideal class size. Teachers don’t have to be scientists or ‘badged-up’ experts – all they need is an enquiring and open mind, a group of enthusiastic students, and a desire to engage with the topic under discussion. For a list of possible topics, see: research cafés. Preparing for a research café is very straightforward. Here Ellie Dommett, a neuroscientist, reflects on her experience of working with Ann Grand, Andy Squires (now Headteacher at Denbigh School) and Richard Holliman to plan a café. 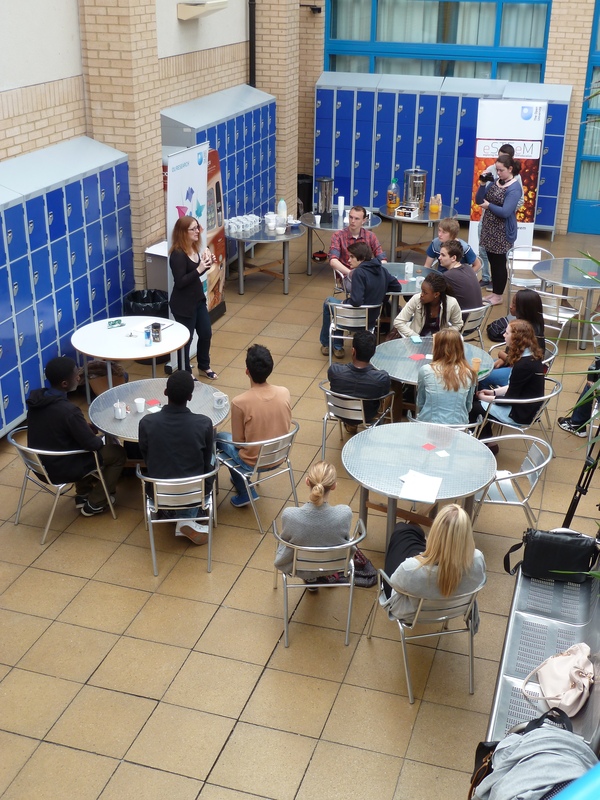 I worked with Ann Grand and Andy Squires to plan for a research café involving sixth-formers. I planned a brief introduction to the topic of smart drugs. I then had four or five statements or questions in my mind that I wanted the students to consider. For example, what information might they want, if any, before taking the drugs and whether it was any different to taking steroids in sport. In order to ensure the discussion got going I gave students cards for a simple red/green voting system. If they agreed with a statement they could show their green card and if they disagreed they could show their red card. It was very refreshing to see that on the tables of four or five students there was rarely agreement and this gave excellent opportunity for discussion with students raising a number of issues or opinions on the topic. And the discussion continued after the café had finished. You can see the results of this approach in a short video that Year 12 Denbigh School students made of the research café. Since the first running of my café in 2013, I have re-used this format in a number of other schools. Why get involved in a research café? As a neuroscientist, I see it as really important to see the potential impact of my area of research both in terms of ethical opinion and ideas for legislation of such drugs. This is all the more relevant when that comes from the next generation of scientists, citizens, voters, and potential consumers of these drugs. In many ways these discussions re-affirm the need for the research I conduct, but it also reminds me that my research does not exist in a bubble. Rather, it exists within a moral and ethical society and policy makers will ultimately have to use the scientific understanding provided to them, allied with this wider context to make some challenging decisions. Dr Ann Grand started a Café Scientifique in Bristol (UK) in 2003 and ran it for three years before handing over to new organisers. She was assistant organiser for the junior Café Scientifique project in the UK, which was much like the events run for adults in cafés, but in schools and with young people in charge. As part of this role, she supported the café network in the UK and internationally, advising potential organisers, supporting their work, publicising the network and running the website at www.cafescientifique.org. Ann has recently been appointed as a Lecturer in Science Communication at the University of Western Australia. 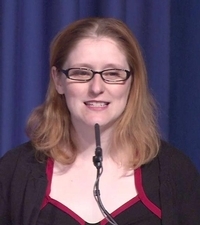 Dr Ellie Dommett is a neuroscientist and expert in science education and communication. Now based at King’s College London Ellie leads on developing an innovative and effective approach to education and learning to on the BSc Psychology degree. 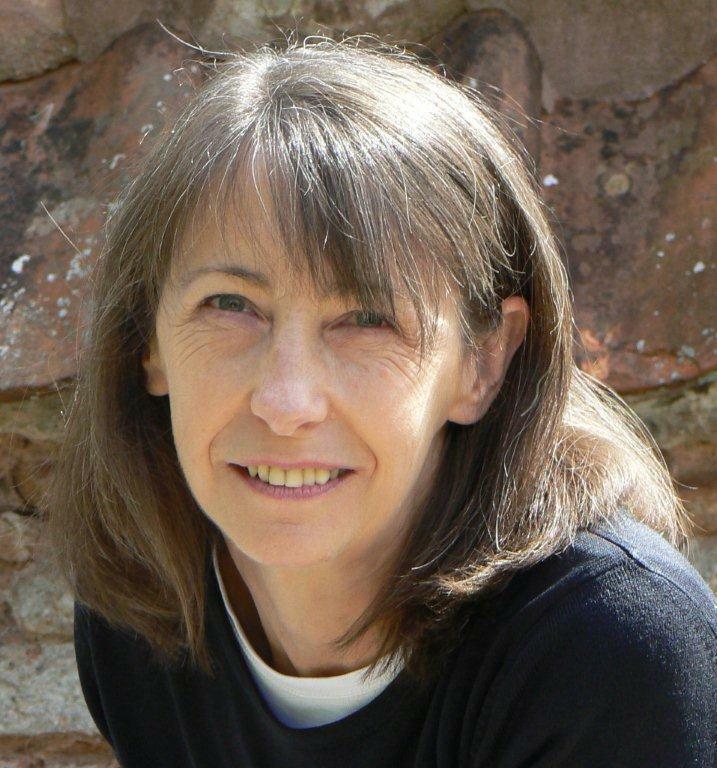 This post has been constructed from two earlier posts, one written by Ann Grand for the discontinued NESTA-funded Isotope site, and one by Ellie Dommett for this blog. The post has been produced as part of the RCUK-funded School-University Partnership Initiative, ‘Engaging Opportunities‘, a partnership between the Open University and Denbigh Teaching School Alliance.